I think most people with kids will have a stock of cardboard tubes in their recycling box. 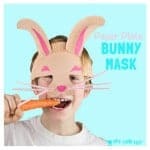 Kids seem to get through piles of toilet paper and kitchen towels don’t they? 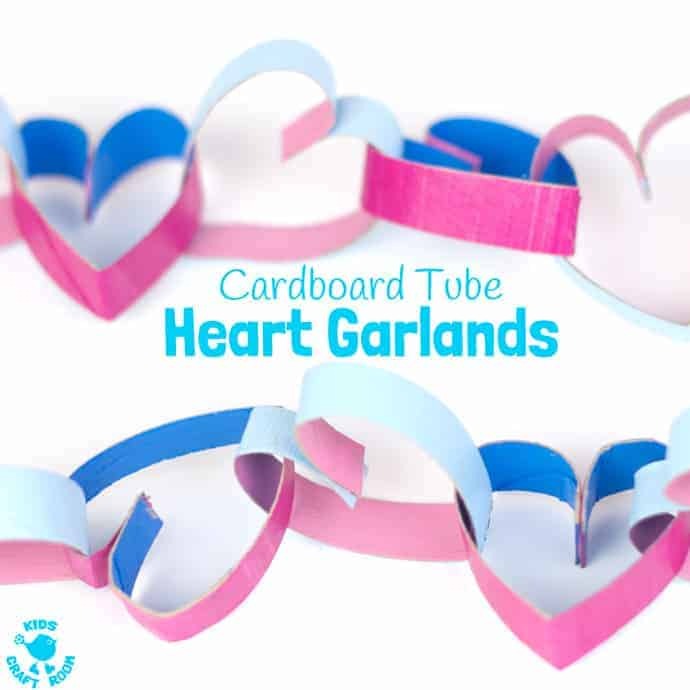 Why not put them to good use and make some pretty cardboard tube Heart Garlands! 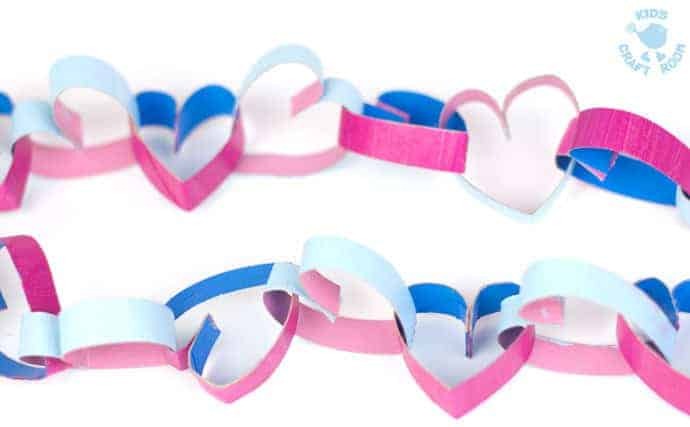 These TP roll heart garlands are easy to make in lots of different colours and any length you like. 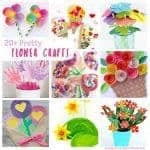 What a lovely way to decorate for Valentine’s Day or Mother’s Day. 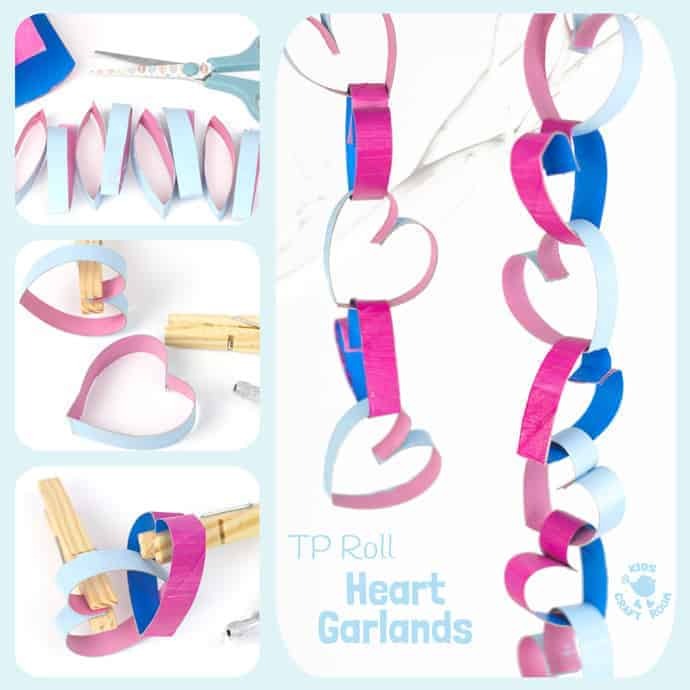 Cardboard tubes are such a simple and plain craft resource I have to say it gives me a real sense a joy to turn them into something as pretty as these heart chains! 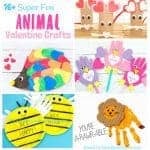 We’ve made lots of short cardboard tube heart garlands to hang from our wishing tree which gets adorned with different crafts throughout the year. 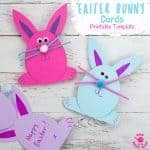 It’s just as easy though to make really long heart chains to span across a chimney breast or a whole room as long as you’ve got the TP rolls, and I’m guessing you have…I mean, whose got young kids that don’t use too much loo roll? 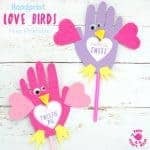 Before we get making our heart garlands you might like to share to Facebook or Pinterest some other recycled crafts to try later too. 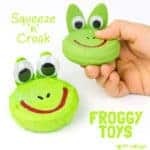 Just click on the text or images below to go to the full post and you can share to your social media from there. 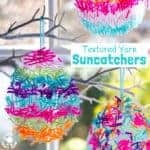 I love crafts that save things from going in the trash don’t you? 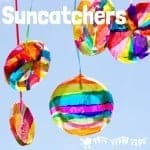 Readers recycled favourites include a Cardboard Tube Jungle Play Set, Squeeze ‘N’ Croak Frogs, colourful Suncatchers and gorgeous CD Scratch Art. 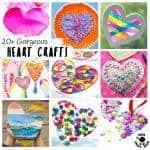 Looking for more heart crafts? 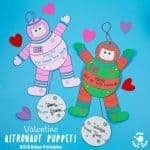 Scroll to the bottom of the page. 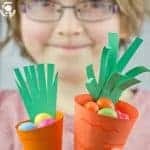 Enough marvelling at the great fun we can have with recycled crafts and lets get back to those pretty cardboard tube heart garlands. Grab your TP rolls! 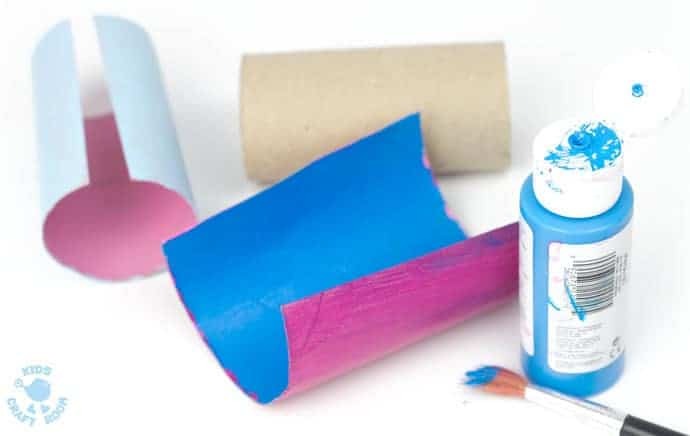 To make your heart garlands start by cutting each TP roll lengthways and then paint them with acrylic paint. I use acrylics because they have such good coverage. It’s fun to paint each side a different colour. When your cardboard tubes are dry fold them in half lengthways and cut each one into strips. You can make the strips as thin or as wide as you like. 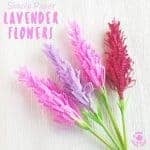 Each strip will make a heart for your garland. We got about 8 hearts from each TP roll. 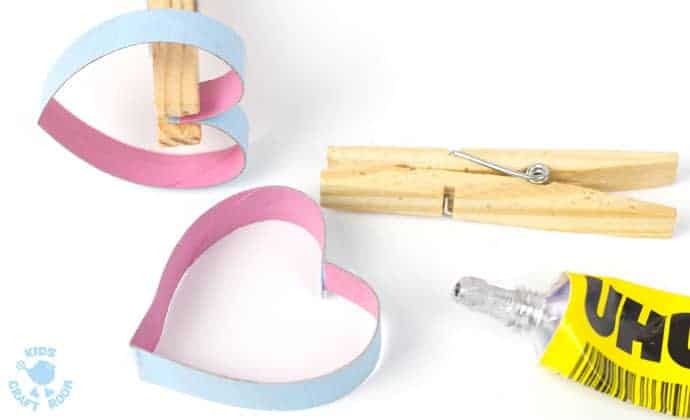 To make your first cardboard tube heart curl the ends of your strip over to meet in the middle and make a heart shape. 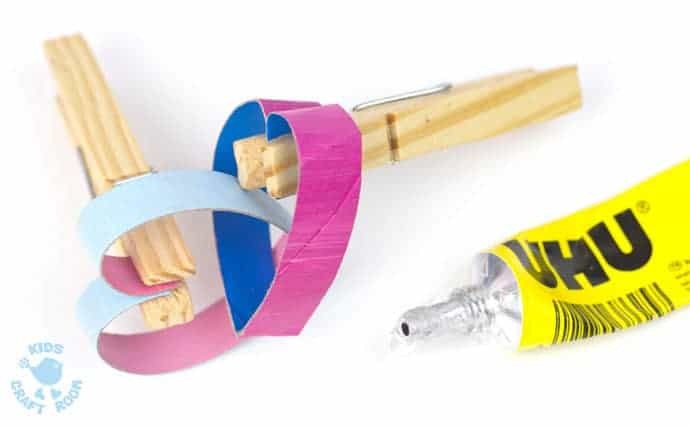 Add a dab of quick drying glue like UHU (my favourite) and hold it in place with a clothes peg while it dries. 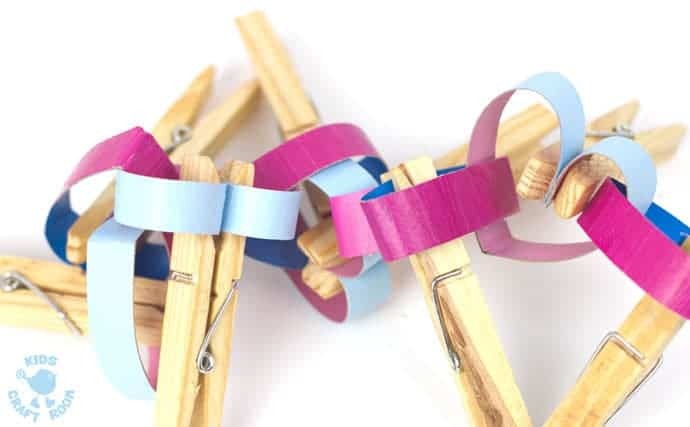 You don’t have to use clothes pegs but it’s much quicker if you do so you don’t have to hold each one by hand. 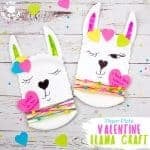 To make the second cardboard tube heart in your garland use the exact same method as above but slot the heart around your first heart before you glue it so they are linked together. 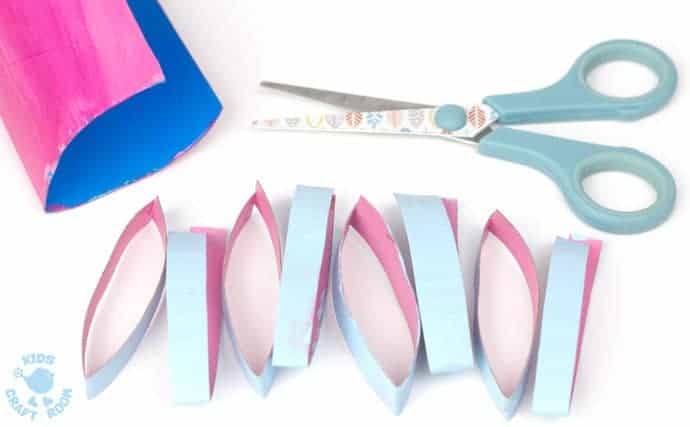 Carry on making, linking and glueing your strips until you have a cardboard tube heart garland the length you require. We alternated different coloured cardboard strips when we made our garlands. I love how easy it was to make something so gorgeous from junk and it always feels great to save things from going in the trash. 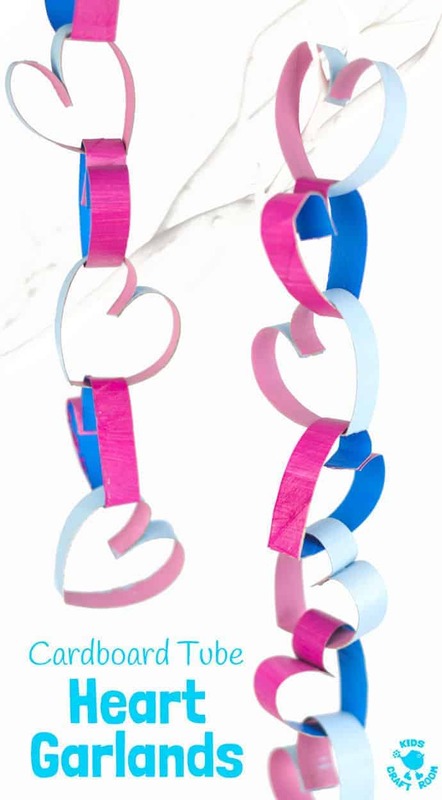 Our cardboard tube heart garlands are going up on our Wishing Tree for Valentine’s Day but they’d make great decorations for Mother’s Day, parties, baby showers and bedrooms too. Where will you hang your heart chains? I love hearing how you get on with our ideas. Leave a comment below, come and chat on Facebook or sign up to our email updates.